Home » Alcoholics Anonymous of the millions of lives saved » Alcoholics Anonymous of the millions of lives saved and transformed by this extraordinary organisation, just as many have failed to grasp its simple message and the result has been personal hell and untimely death. 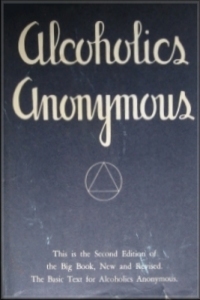 Title: Alcoholics Anonymous of the millions of lives saved and transformed by this extraordinary organisation, just as many have failed to grasp its simple message and the result has been personal hell and untimely death. Alcoholics Anonymous is a cause for joy and sometimes sad reflection.Of the millions of lives saved and transformed by this extraordinary organisation, just as many have failed to grasp its simple message and the result has been personal hell and untimely death. Such is the destructive power of alcohol, society’s most pernicious drug. This acceptance of defeat often produces, sometimes quickly, sometimes slowly, a big shift in attitude that unlocks new and positive feelings, especially hope.